As we all settle in to finally see the last, epic season of Game of Thrones, the stars of the show are working hard to put their characters behind them. Kit Harington, who plays the heroic Jon Snow, stopped by The Graham Norton Show to talk about the upcoming, final six episodes of Game of Thrones and life after starring in one of TV’s biggest shows. Looking freshly shaved and lacking Jon Snow’s usually flowing locks of dark brown hair, the rugged Harington appeared alongside Julianne Moore and Avengers Chris Hemsworth and Paul Rudd, who were also on a press tour saying farewell to their own characters too. Almost all actors will tell you they enjoy shedding off old characters and embracing new ones – no one wants to be pigeonholed after all. So, during the chat show, Harington admitted he had been looking forward to telling fans he was no longer the oathbreaker Jon Snow. You get people coming up to you in the street, and they say ‘Are you Jon Snow?’ And you’re like ‘Not technically, I’m not Jon Snow, but let’s go with it, I am Jon Snow’. But I’d kind of waited, really really waited to say the words: ‘Not any more’. Like in a really stoic, cool way. Unfortunately for Harington, however, it didn’t quite happen as stoically or coolly as he would’ve hoped. 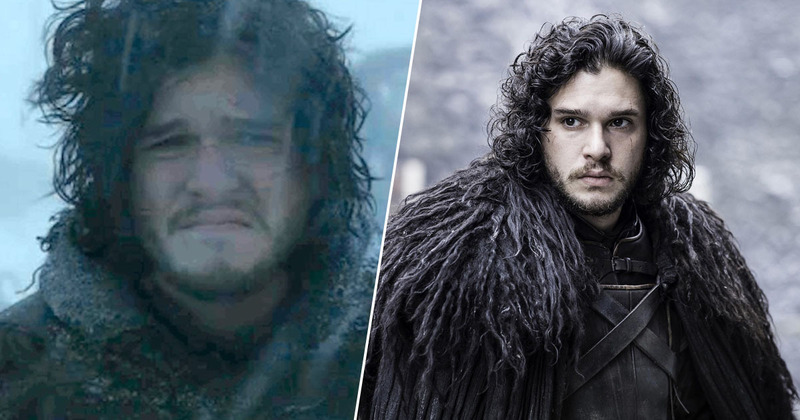 And when the first fan came up to him after he finished the show, and asked him ‘Are you Jon Snow’, he couldn’t quite hold his emotions together. Yup, having left set for the final time and Harington’s moment to stoically claim ‘not anymore’ would come at the airport. But as Harington conceded, the ‘poor girl’ who asked the question was met by his sobs as he attempted to deliver the message. Elsewhere on the chat show, Paul Rudd took the time to respond to the infamous ‘Thanus Theory’ surrounding his character Ant-Man in the final film in the franchise – Avengers: Endgame. Rudd seems to dismiss the theory, saying it’s not a path he really wants to go down, or up. But I reckon it’s another red herring to throw us off the scent. I mean, how else are they going to defeat Thanos? !